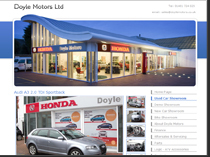 why have a car dealer website? Many car dealers now have websites where they can advertise what vehicles they have in stock, where their dealership can be found and also list any other special services they offer. 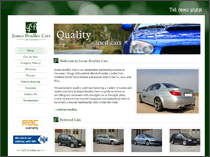 DealerWorks car dealer websites is a well established and professional solution for any car or commercial vehicle trader. Our system is easy to use, looks great and provides dealers and traders with everything they need to advertise to the online car market. Listed below are a few good reasons as to why your dealership should have a website with built in stock management. Reach a larger audience (customers searching for cars online). Your online car showroom can be open 24/7 with no hassle. Give your Dealership a professional and respectable image. Allow your customers to find you easily. When you buy a vehicle management website from us, you are getting the complete package. That's your website with self-managed web pages (you can even add new pages), your stock list control system, business grade web hosting, website statistics, yourcompany.co.uk or .com domain, and company logo design (if required). We provide car and commercial vehicle dealers with an easy to update website complete with our stock list management system. 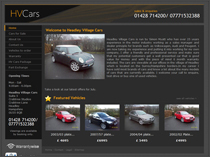 Our car dealer websites are designed to rank well in search engines and are built from scratch, we don't use templates! Using our vehicle management system you can add as many vehicles to your website stock list as you want, there are no hidden fees with our package. Also with your new online showroom site you will get our content management system, this will allow you to edit almost any content on your pages, meaning you won't have to pay a designer to update it every time. Our content management system and the stock list manager are designed to be easy to use, and will run on almost any computer which has a working Internet connection. please call us on 01376 310 510.